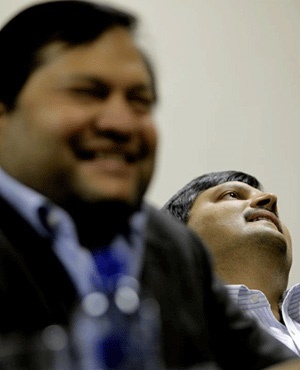 Cape Town - The Gupta family are selling their assets in South Africa to little-known companies as their access to banking facilities dries up and allegations intensify that they used their friendship with President Jacob Zuma to wield undue influence over his administration. On Wednesday they announced the sale of a coal business to a Swiss company that has no history in the commodities business, after saying this week that they plan to sell their media unit to a former government spokesperson in a deal the family are funding themselves. They have said that without banking facilities they won’t be able to pay workers. The family is facing a backlash from politicians and civil-society groups over allegations they used a friendship with Zuma and a business relationship with one of his sons to secure sweetheart deals from the government and state companies. The scandals put a spotlight on Zuma’s dealings and opened fissures in the ruling African National Congress, with senior officials including Deputy President Cyril Ramaphosa, speaking out against state capture. South Africa’s four biggest banks shut Gupta-controlled company accounts last year, citing reputational risk and regulatory concerns. India’s Bank of Baroda, the last lender to continue doing business with them, is in the process of following suit. The Guptas, who moved to South Africa from India in the 1990s, deny wrongdoing and claim they’re being targeted by established white business interests intent on protecting their turf that they built up during apartheid. Zuma dismisses accusations that he’s been unduly influenced by the family or given them preferential treatment. Gupta-controlled Oakbay Investments said on Wednesday it agreed to sell its Tegeta Exploration & Resources coal unit for R2.97bn to closely-held Charles King SA, a Swiss company it said is owned by Amin Al Zarooni, to save jobs. Two days earlier, it announced it would lend Lodidox, a company whose sole director is Zuma ally and former government spokesperson Mzwanele Manyi, R450m to buy a newspaper and 24-hour television news station that run coverage supportive of the president and attack his opponents within the ANC. Manyi became director of the company, headquartered in a residential area of township of Soweto near Johannesburg, in June, according to company records. Oakbay described Al Zarooni “as a leading businessman in the United Arab Emirates and a respected and active participant in global private equity markets.” Charles King, registered in Lausanne, Switzerland, is a “special purpose vehicle” acquired by Al Zarooni to facilitate the Tegeta purchase, it said in an emailed statement. The disposal of Tegeta, which includes the Optimum and Koornfontein coal mines and a stake in Africa’s biggest coal export terminal, is subject to conditions that are expected to be concluded in 12 months, Oakbay said in a separate statement. Oakbay and Zuma’s son, Duduzane, bought Optimum through Tegeta for R2.15bn from Glencore in December 2015. The Guptas became a household name in South Africa in 2013 after it emerged that they’d used a military base near Pretoria to land a chartered jet bringing guests from India to a family wedding. The use of the so-called national key point by civilians for private business is illegal. Separate reports by the former Public Protector in November, and the country’s main church organisation and a team of top academics in May alleged that they used their links to the president to secure contracts and deals from state companies, including coal supply deals with power utility Eskom. Gary Naidoo, a spokesperson for the Gupta family, didn’t answer calls to his mobile phone, and he and Oakbay’s media office didn’t respond to emailed questions about the deals. Ronald Beau, listed as a director of Charles King, declined to comment when called at his office in Geneva. Beau advises international groups, particularly in the energy and finance industries, on the development of their tax policies, according to the website of BEAU HLB, of which he is chief executive officer. A nameplate inside a building at Rue de Bourg 27 in Lausanne shows both Charles King and BEAU HLB are located on the fifth floor. Those offices - above a psychiatry practice, a violin maker and a yoga studio - were largely empty when visited by Bloomberg News. “The Guptas have been exposed” and are becoming more vulnerable, Mark Swilling, a professor at Stellenbosch University who convened the academics’ study that implicated the family Guptas in the alleged looting of state funds, said by phone.